Chem. Commun. 14, 6038 (2005). Chem. Commun. 37, 5630 (2009). 1) Y. Hasegawa, H. Kawai, K. Nakamura, N. Yasuda, Y. Wada and S. Yanagida, Moleculaer design of luminescent Eu(III) complexes as lanthanide lasing medium and their optical properties, Rare Earths '04, Japan (NARA), 2004, Abst. No. FI-05. 2) Y. Hasegawa, Radiative process control of asymmetric Eu(III) complexes for lanthanide lasing medium, Pacifichem 2005, USA (Hawaii), 2005, Abst. No. 153046. 3) Y, Hasegawa, Luminscent polymer containing Eu(III) complexes as lanthanide lasing medium, GIST/NAIST Joint symposium on Advanced Materials, Japan (NARA), 2006. 4) Y. Hasegawa, Polymer thin films containing symmetric Eu(III) complexes for lanthanide lasing medium, The 1st International Symposium on Luminescent Lanathanide Complexes (KISLLAM 2006), Korea (Daejeon), 2006. 5) Y. Hasegawa, Brilliant meterials constructed by rare-earth compounds with organic molecules, National Academics of Science & Engineering (NAS) and Japan Society for the Promotion of Science (JSPS), 10th annual Japanese-American Frontiers of Scinece Symposium (JAFoS), japan (Kanagawa), 2007. 6) Y. Hasegawa, Strategies for the design of luminescent lanthanide complexes, Global COE Program Center for Electronic Devices Innovation and Global seminar for Recent Development of Organic Devices and materials (I), Japan (Osaka) 2008. 7) Y. Hasegawa, Luminescent Polymer containing lanthanide complexes, 2nd International Symposium on Manipulation of Advanced Smart Materials (ISMAM2008), Japan (Hyogo), 2008. 8) Y. Hasegawa, Luminescence modulation in lanthanide(III) complex by coordination control of organic ligands, Asian International Symposium in Chemical Society of Japan, Japan (Chiba) 2009, Abst. No. 3F5-42. 9) Y. Hasegawa, Emission quantum yield measurements of luminescent lanthanide(III) complexes with narrow emission bands, 18th International Symposium on the photochemistry and Photophysics of coordination compounds (ISPPCC), Japan (Sapporo), 2009. 10) Y. Hasegawa, Brilliant Lantahnide Phosphors composed of Asymmetric Coordination Structures, International Symposium for Phosphor Materials 2009 in Niigata (Phosphor Safari), Japan (Niigata), 2009. 11) Y. Hasegawa, Characteristic Structures and Photophysical Properties of Europium(III) Complexes with Phosphine Oxides, Asian International Symposium in Chemical Society of Japan, Japan (Osaka) 2010, Abst. No. 3C4-38. 12) Y. Hasegawa, Luminescence Eu(III) complexes with asymmetric nide-coordination structures, International conference on frontier photoscience and functional materials (ICFPFM), Korea University (Sejoung), June 3-5, 2010. 13) Y. Hasegawa, T. Nakagawa, T. Kawai, "Luminescent lanthanide complexes with photo-switching units", First International Conference on Luminescence of Lanthanides (ICLL-1), Ukraine (Odessa), September 5-9, 2010. 14) Y. Hasegawa, "Europium chalcogenide nanocrystals with photo-magnetic properties", The 7th Korea-Japan Symposium on Frontier Photoscience 2010 (KJFP2010), Daegu, Korea, 2010, IL-21. 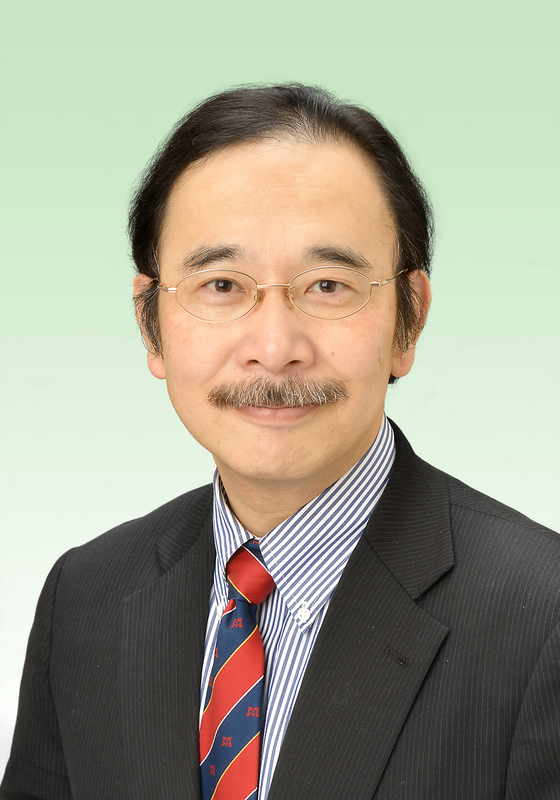 15) Y. Hasegawa, "Strong-luminescent materials containing asymmetric Eu(III) complexes", 17th Regional Symposium on Chemical Engineering (RSCE2010), Bangkok, Tailand, 2010, keynote lecture 4.